Robert R. Peabody, Jr. M.D. Dr .Peabody Jr. practices comprehensive ophthalmology offering eye care to patients of all ages. He is a physician and surgeon trained in state of the art treatment for a wide range of medical and surgical eye conditions. He has extensive expertise in the evaluation and treatment of eye disorders, including glaucoma, macular degeneration, cataract, ocular diabetes and dry eye. Dr .Peabody Jr. offers modern no stitch, small incision cataract surgery with multiple lens options, including premium IOLs. Our office hours are Monday through Friday 8 am to 5 pm. For appointments of all types or inquiries, please call us at 916.731.8040. We try to keep time available each day for patients with urgent problems. During other hours or weekends, you may contact our phone service (same no.) and reach the on-call ophthalmologist. Dr. Grand specializes in Neuro-Ophthalmology & Oculoplastics ready to meet both needs, and is paneled with all commercial insurances including Hills physicians. Specializing in techniques of plastic surgery as it relates to the eyes and their surrounding structures such as eyelid repairs, browlifts, tear duct surgery, and treatment of dry eye and thyroid eye disease. He also implements the art of laser skin resurfacing and treatment of facial veins and blemishes as well as use of Botox and Juvederm. He also specializes in Neuro-Ophthalmic surgery consisting of Botox and Nerve block denervation surgery for headaches, strabismus surgery. In short, he is a Plastic and Neuro-Surgeon of the Eye. Our office hours are Monday through Friday 8 am to 5 pm. For appointments of all types or inquiries, please call us at 916.731.8040. We try to keep time available each day for patients with urgent problems. During other hours or weekends, you may contact our phone service (same number) and reach the on-call ophthalmologist. Stephen Wilmarth, M.D. is one of the most respected and experienced Laser Vision Specialists and Eye Surgeons in Northern California. 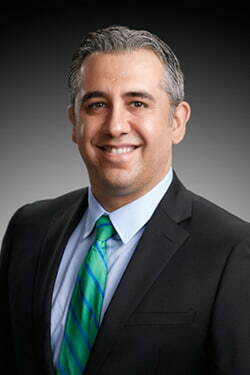 He is Board Certified and serves as Chairman of the Board of Directors for Medical Vision Technology, the largest private practice ophthalmic group in Northern California. Dr. Wilmarth is a founding member of Horizon Vision Centers, the largest laser vision provider in Northern California and Medical Director at the Horizon Vision Center in Roseville. He also serves as Medical Director of Ophthalmic Surgery at Sutter Sierra Surgery Center in Roseville. 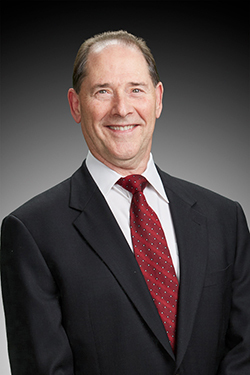 Dr. Wilmarth has over 35 years of experience as an eye surgeon and significant experience in new product development and application in pharmaceuticals and ophthalmic devices. 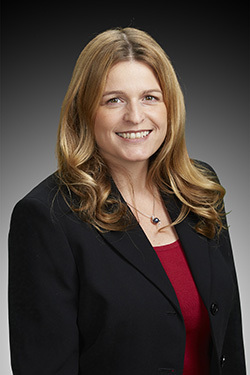 Dr. Wilmarth is a 4th generation San Franciscan raised in the Bay Area. He graduated with Honors from the University of California, Berkeley and attended Stanford University School of Medicine where he participated as a research scientist in the first isolation and purification of endorphins. After completing his medical training, he joined the U.S. Public Health Service, caring for Indians and Eskimos throughout the State of Alaska. Humanitarian work took him to the Philippines, China, Tibet, Japan, South Africa and Kenya. In 1989 Dr. Wilmarth returned to California and began a full time practice as a founding member of Medical Vision Technology. Dr. Wilmarth enjoys running, biking, skiing, golf, mountaineering and SCUBA diving. He finished the Ironman Triathlon in Hawaii swimming 2.4 miles in the ocean followed by a 112 mile bicycle race and a 26.2 mile run all in one day. Dr Warmerdam practices comprehensive ophthalmology offering eye care to patients of all ages. She is a physician and surgeon trained in state of the art treatment for a wide range of medical and surgical eye conditions. She has extensive expertise in the evaluation and treatment of eye disorders, including glaucoma, macular degeneration, cataract, ocular diabetes and dry eye. Dr. Warmerdam offers modern no stitch, small incision cataract surgery with multiple lens options, including premium IOLs. Our office is open Monday through Thursday 8am-5 pm and 7:30am-4pm on Fridays. For all types of appointments, medical or routine eye exams, please call our office at 916-786-6966. we try to keep time available each day for patients with urgent problems. Dr. Tucker completed his undergraduate degree in Physics at Lewis & Clark College in Portland, Oregon, where he specialized in astrophysics and worked in the school observatory. He then completed his M.D. and Ph.D. in Neuroscience at the University of Utah Moran Eye Center, where he developed new mathematical methods to study the anatomy of the human eye. Dr. Tucker went on to complete his residency in ophthalmology at the University of California, Irvine, where he developed new optical calculations to improve the accuracy of cataract surgery. 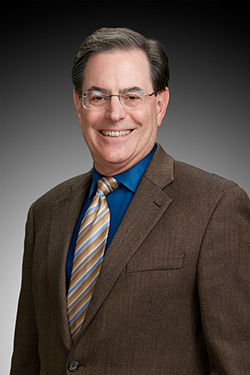 Dr. Tracy has practiced in Sacramento since 1988 when he joined the practice of Dr. Joseph E. Farrington, O.D. which he established in 1951. In 2018, he joined his practice into the group practice of Medical Vision Technology. Dr. Tracy earned his undergraduate degree in microbiology with a minor emphasis in chemistry and statistics from Brigham Young University. While there, he researched the changes in a person’s intestinal flora as they move to different countries and also the effects that changes in water quality have on aquatic insects that live in our rivers and streams. Robert R. Peabody, Jr. M.D.Alexander Grand, MDStephen S. Wilmarth, M.D.Dorotheea Warmerdam, M.D.James Tucker, M.D., Ph.D.Brian D. Tracy, O.D.